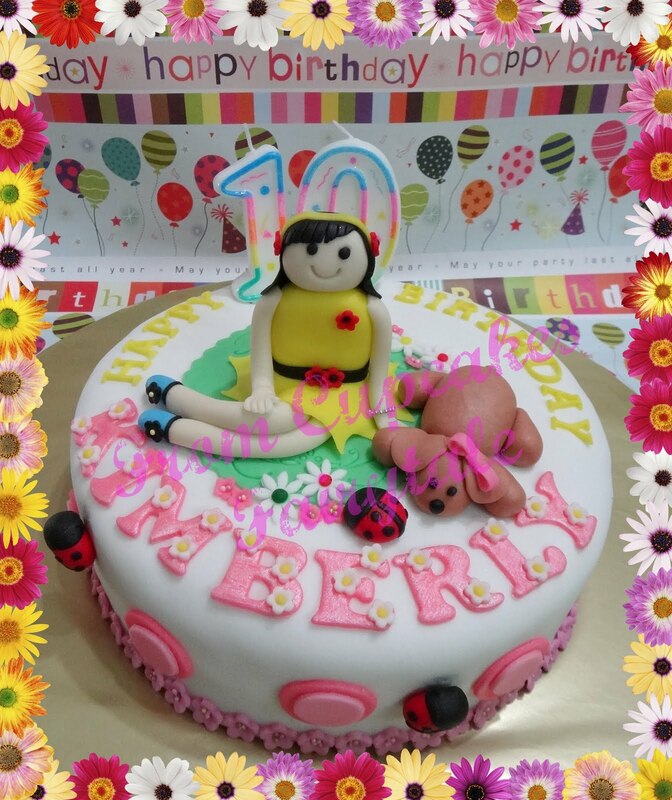 Georgina ordered this "Best of Both - Cake and Cupcakes" package for her daughter, Kimberly's 10th birthday that falls on the 16th April. Georgina mentioned that Kimberly is a dog-lover and therefore this cake has to feature a dog there. Besides that, Kimberly also has a lot of favourite things that she likes to do - Singing, Dancing, Reading and she has a pet - Hamster . These 'Little princess' resembles all Kimberly's hobbies. Happy 10th Birthday to Kimberly! !